"The Church is woman, she is mother, and this is beautiful. You must consider and go deeper into this." When Pope Francis spoke these words to Gina Loehr and her companions during a private audience in October of 2013, she felt a tug on her heart--a kind of commission. She was at the Vatican to commemorate the twenty-fifth anniversary of St. John Paul II's letter Mulieris Dignitatem (On the Dignity and Vocation of Women), a document that had profoundly transformed her understanding of women and the Church. And now she heard a call to further reflection on these themes. Loehr asks, "Why do we refer to the Church as she or Mother Church? 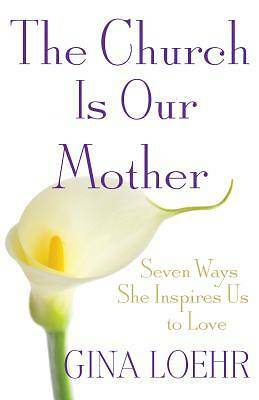 And what does this reveal about the nature of the Church and the nature of motherhood?" Each chapter of The Church Is Our Mother explores one theme mothers and Mother Church have in common: creation, caring, teaching, acceptance, sacrifice, healing, and celebration. A study guide offers relevant meditations from the liturgy, the Catechism, the saints and the sacraments, and also shares personal stories from seven other mothers to inspire readers on their own journeys of faith and family. Both a personal memoir and a universal call to understanding, The Church Is Our Mother will act as a springboard for other women to delve ever more deeply into the beautiful mystery of Mother Church, and offers a new perspective on the tremendous importance of the vocation of motherhood itself.